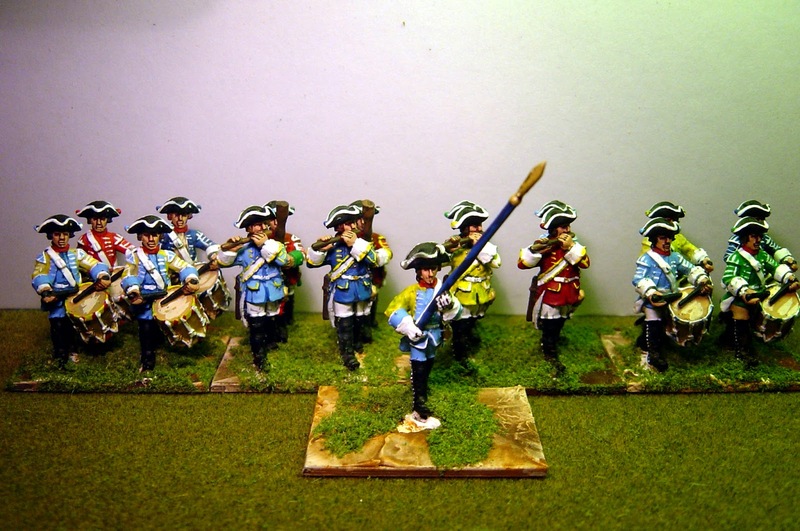 Painting Wargames Figures: Saxons SYW: Infantry Massed band. Massed band of musicians from every regiment! Not designed to fight but to just stand at the back and play jaunty musical ditties while their colleagues get slaughtered. This concludes the infantry part of this project. Great looking unit, love this uniform, and your paint job! Very nicely done, Nigel. I have a couple of those Eureka musicians and they are lovely little sculpts.